Tuesday Tangents – NaBloPoMo no mo’, and questions for you! For those of you following The Continuing Saga of My Stupid Shoulder (co-starring My Klutzy Feet), I had a follow-up with the orthopedic surgeon the day before Thanksgiving. The shoulder is doing well – the Ultrasling is doing its job, apparently – but he’s sending me for an MRI, which will allow him to see things that don’t show on an X-ray, and he’ll want to see me again once the results come back. I hope we will not be discussing surgery at that point, but I’ll let y’all know how it goes. Do you think I should ask for an injury-free 2011 for Christmas? Speaking of Christmas…have you started on your preparations yet? A lot of our shopping is done – mostly thanks to Tall Paul, not me – and we’re planning to put up the tree this coming weekend, which will be the earliest we’ve done it in a few years. I’m glad; it always helps my holiday mood when the house looks like it’s holiday time! What Part of Christmas Are You? You are a nostalgic and caring person during the holidays. It’s important for you to feel connected to other people this time of the year. You do your best to stay in touch with everyone who is important to you. Even a little note shows you care. Nothing delights you more than getting a card from someone you haven’t heard from in a while. That’s the true spirit of Christmas for you. The truth is, I haven’t sent Christmas cards for several years…but otherwise, the description sounds about right! A query unrelated to Christmas: Have you tried Tumblr? What are your impressions. positive and negative? I’m kicking it around, but I’m really not sure what it offers other than a sort of compromise between this place and Twitter – short-form blogging, but not limited to 140 characters – and part of the appeal comes from my restricted Twitter access these days, to be honest. 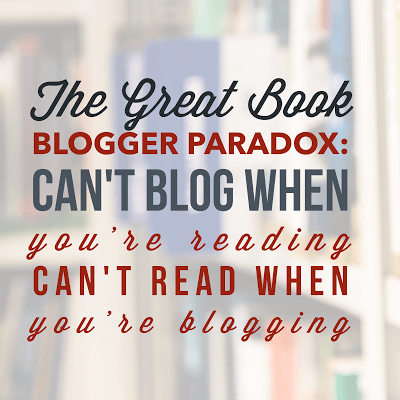 I’m FAR too long-winded to migrate my blogging there, but I’m thinking about exploring it as a supplement of sorts to The 3 R’s Blog. If you’re into it, tell me what you think! However, even if I do decide to give Tumblr a tumble, I’m not sure how soon it’ll happen. Having made good on my November NaBloPoMo pledge – not even derailed from daily posting by the aforementioned Stupid Shoulder – I will be following through on my plans for a short blogging break. 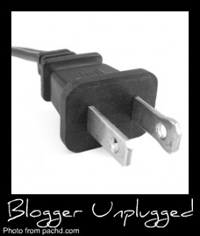 I’ll still be reading – and hopefully commenting on your posts – so I won’t be fully “unplugged.” But I don’t have any posts scheduled here for a few days, so y’all get a break too! Back next week – see you then! Sunday Salon: The end (of the year) is coming! Thankfully Reading Mini-Challenge #1: Thanks for this Book! NaBloPoMo Cop-out Post #2: More quizzes!